With the development of society, the speed of city reconstruction became faster than before, and problems of remove happened, which even became a collective action behavior. 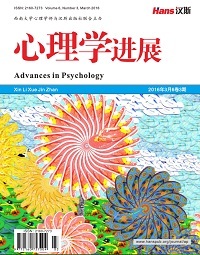 This research constantly followed the refusal behavior of Huangguaying Community people about one and a half years, and analyzed how the behavior evolved from individual issue to a collective action behavior, and came up some solutions at the end. The final conclusions are as follow: There were three reasons that people in Huangguaying Community refused moving individually. Within these three reasons, relative deprivation was the motive power; the decreasing of satisfactions was the catalyst; collective identify and collective efficacy provide the possibility of practice. In order to make this kind of events happen less in the future, this article gives some suggestions for the government and developer about how to decrease the relative deprivation, how to increase the satisfaction for government and how to pay more attention to residents’ psychological states. 王建, 李昌娟. 浅析农村征地拆迁中的利益冲突[J]. 中共珠海市委党校、珠海市行政学院学报, 2014(1): 41-44. 何欢. 浅议城市房屋拆迁中私人财产的保护[J]. 才智, 2015(4): 264-265. 刘志强. 集体土地上房屋拆迁能否适用《国有土地上房屋征收与补偿条例》[J]. 中国土地, 2015(2): 58. 周钰涵. 初探“拆迁维权协会” [J]. 法制与社会, 2014(34): 166-168. 董晶, 吴晓瑞. 违规强拆存在的原因及对策分析[J]. 建设科技, 2015(2): 86-87. 张埔炽. 城市房屋拆迁中存在的问题及对策研究[D]: [硕士学位论文]. 重庆: 重庆大学, 2014: 16-33. 祝守明. 钉子户提法不妥[J]. 楚天主人, 2000(1): 15. 何志武, 朱秀凌. “恶政府”?“弱拆迁户”?——拆迁冲突议题的媒介建构[J]. 新闻大学, 2014(1): 76-83. 单松. 城市拆迁过程的被拆迁者心理分析[J]. 辽宁行政学院学报, 2011, 13(2): 161-162. 毛文娟, 程素萍, 刘海珍. 被拆迁者拆迁过程的心理定性分析[J]. 社会心理科学, 2008(3): 94-99. 田其锐. 强制拆迁中私产观念冲突的原因分析[J]. 学理论, 2014(35): 83-86. 张卫娜. 城市化进程中“城中村”改造中存在的问题及对策分析[J]. 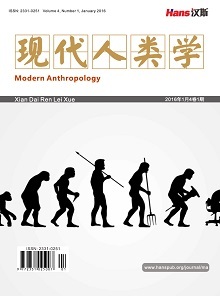 旅游纵览月刊, 2014(2): 224-225. 江帆, 丁丽柏, 马勇, 等. 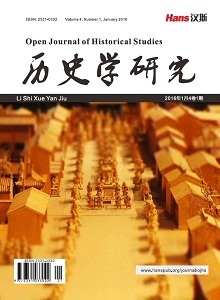 重庆市沙坪坝区房屋拆迁问题及对策研究[J]. 经济法论坛, 2012, 9(1): 319-347. 张书维, 周洁, 王二平. 群体相对剥夺前因及对集群行为的影响——基于汶川地震灾区民众调查的实证研究[J]. 公共管理学报, 2009, 6(4): 69-77. 吴开松, 李华胤, 徐晓晨. 群体性事件的社会心理因素研究[M]. 武汉: 华中科技大学出版社, 2013. 张书维, 王二平. 群体性事件集群行为的动员与组织机制[J]. 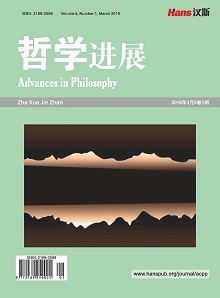 心理科学进展, 2011, 19(12): 1730-1740. Runciman, W.G. (1966) Relative Deprivation & Social Justice: A Study of Attitudes to Social Inequality in Twentieth-Century England. Routledge, Abingdon-on-Thames. Henri (1982) Social Identity and Intergroup Relations. Cambridge University Press, Cam-bridge. McCarthy, J., Zald, D. and Mayer, N. (1973) The Trend of Social Movements in America: Professionalization and Resource Mobilization. General Learning Corporation, Morristown. Klandermans, B. (2013) The Social Psychology of Protest. Current Sociology, 61, 886-905. Moran, D. (2000) Introduction to Phenomenology. Routledge, Abing-don-on-Thames, 109-112. Palmer, R.E. (1969) Hermeneutics: Interpretation Theory in Schleiermacher, Dilthey, Heidegger, and Gadamer. Northwestern University Press, Evanston. Langenhove, L.V., Harré, R. and Smith, J. (1995) Idiography and the Casestudy. Rethinking Psychology. Sage, London, 59-69. Allport, G.W. (1943) The Use of Personal Documents in Psychological Science. Prepared for the Committee on Appraisal of Research, Social Science Research Council, New York, 561-563. Blumer, H. (1969) Symbolic Interactionism. Prentice Hall, Englewood Cliffs. Giorgi, A. and Giorgi, B. (2003) Phenomenology in Smith. In: Smith, J.A., Ed., Qualitative Psychology: A Practical Guide to Research Methods, Sage, London, 25-50. Smith, J.A. and Osborn, M. (2003) Interpretative Phenomenological Analysis. In: Smith, J.A., Ed., Qualitative, Psy-chology: A Practical Guide to Research Methods, Sage, London, 51-80. 亚当•库珀, 杰西卡•库珀. 社会科学百科全书[M]. 上海: 上海译文出版社, 1989: 642. Stouffer, S.A. (1949) The American Soldier: Adjustment during Army Life. Volume I. Journal of the American Medical Association, 140, 1189. 杨智涵, 虞涛. 政府信任感对民众社会公平感与生活满意感及心理和谐的影响[J]. 重庆科技学院学报(社会科学版), 2012(1): 54-56. Shin, D.C. and Johnson, D.M. (1978) Avowed Happiness as an Overall Assessment of the Quality of Life. Social Indicators Research, 5, 475-492. 陈俊星. 地方政府公众满意度测评的困境与出路[J]. 东南学术, 2011(4): 103-110. 刘贵忠. 政府服务的公众满意度测评研究[D]: [硕士学位论文]. 湘潭: 湘潭大学, 2005: 16-17. Tajfel, H. (1978) Differentiation between Social Groups: Studies in the Social Psychology of Intergroup Relations. American Journal of Sociology, 86, 61-76. Bandura, A. (1986) Social Foundations of Thought and Action: A Social Cognitive Theory. Prentice-Hall, Englewood Cliffs, 391. Myers, D.G. 社会心理学[M]. 第8版, 侯玉波, 乐国安, 张智勇, 等, 译. 北京: 人民邮电出版社, 2013: 392-394. 孙鹃娟. 中国老年人生活质量研究[M]. 北京: 知识产权出版社, 2007: 214. 崔丽娟, 丁沁南. 老年心理学[M]. 北京: 开明出版社, 2012: 83-84.